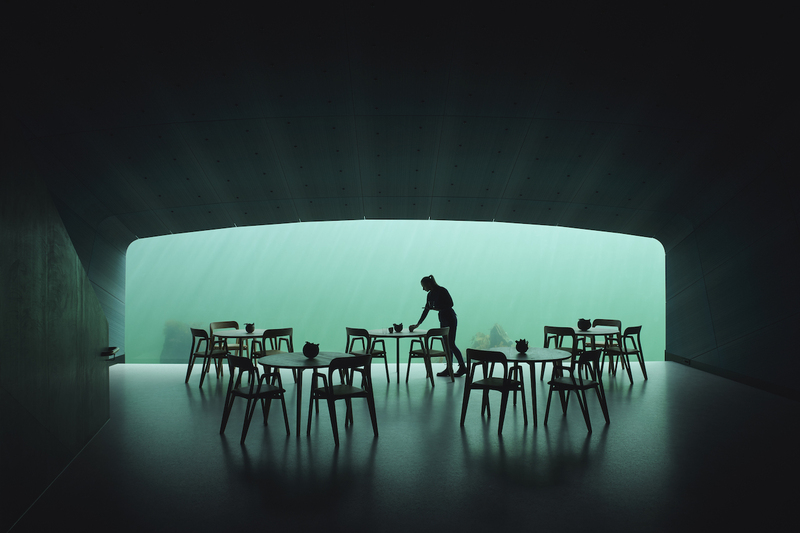 Snøhetta, the architecture firm behind the 1989 library of Alexandria, Egypt, the Norwegian National Opera in Oslo, Norway, and the expansion of San Francisco’s MoMA, has completed Europe’s first underwater restaurant in Lindesnes, Norway. 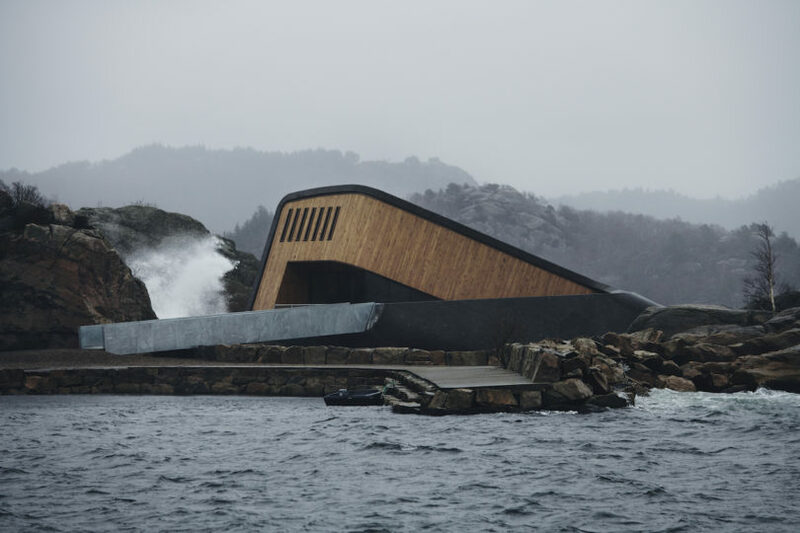 Under is a semi-submerged restaurant situated at the Southernmost point of the Norwegian coastline. This unique location is also the confluence of briny and brackish water, sea storms from the North and South, and abundant marine species from sea to shore. As such, the restaurant also functions as a marine research center. 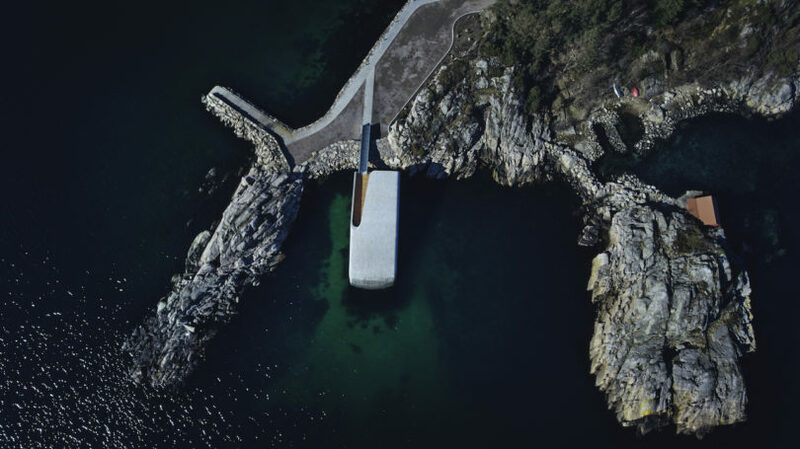 The restaurant’s choice of name, “Under” is in fact a smart double entendre; in Norwegian, it means both “below” and “wonder.” The half-sunken restaurant is a 34-meter long volume that interrupts the water’s surface and can be seen from land and from below. And a wonder it will be, when it functions as a merger of natural and built environment, the architects expect the rough concrete shell to become an artificial reef, a new home for limpets and kelp that inhabit these areas. 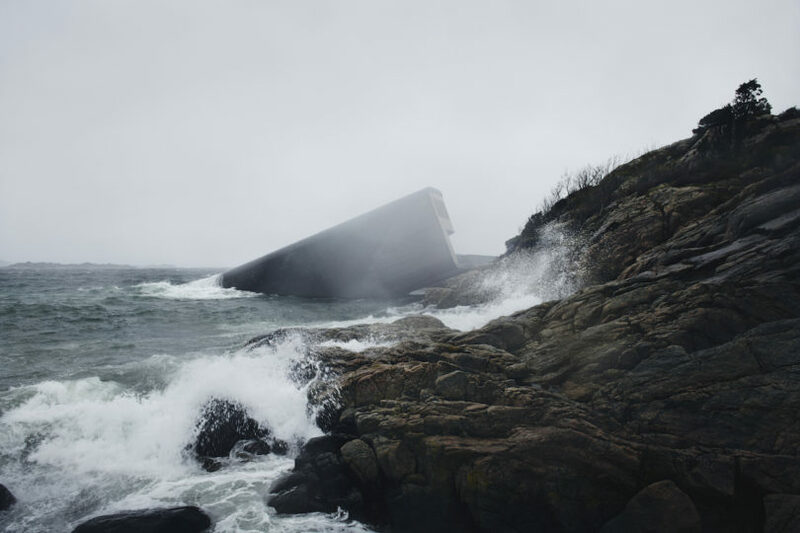 Outdoors, dark waves pound and fizz against the concrete shell. Inside, however, the oak-clad foyer is calm, resonant in its silence. Rough wood finishes and the sweet scent of timber are set in contrast to dark steel railings and brass handrails, as you descend into the impressive main dining room on the lowest floor.